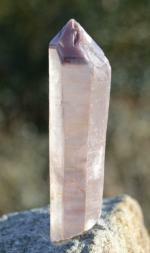 Of the numerous stones used for crystal healing, many of the most effective contain lithium, a light alkali metal. 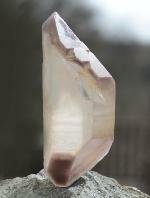 The most powerful lithium crystals available are lithium in quartz, as the quartz further amplifies its unique qualities. Interestingly, lithium is produced naturally by the brain when we appreciate a beautiful sunset. 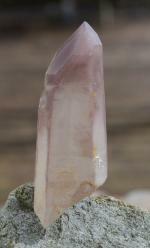 Of all crystals, lithium is perhaps the most powerful balancing, anti-depressant and mood stabilizing stones available. Lithium is produced naturally by the brain when we appreciate a beautiful sunset! It is soothing, uplifting and stabilising. 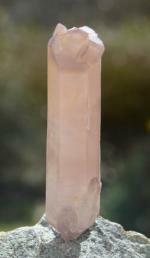 It acts as an excellent general tonic for the chakras, especially the heart. 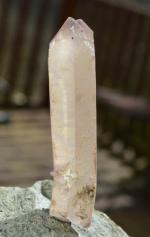 Natural Lithium Quartz in excellent condition. A vibrant DT with beautiful Lithium Phantoms in both tips. The Master Self-Healed formation is extremely rare. 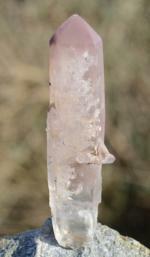 This is an excellent example with a clearly recognisable fracture line. 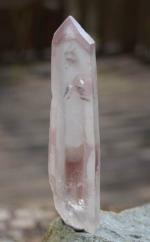 What looks like the crystal base is actually growth-interference. This is an intact DT.